Each HK VP9, P30, USPC, P2000 30rd mag offering is a complete, fully assembled, ready for the range 30 round 9mm magazine. This offering is a valuable option for those that need an "emergency" backup ultra capacity magazine. 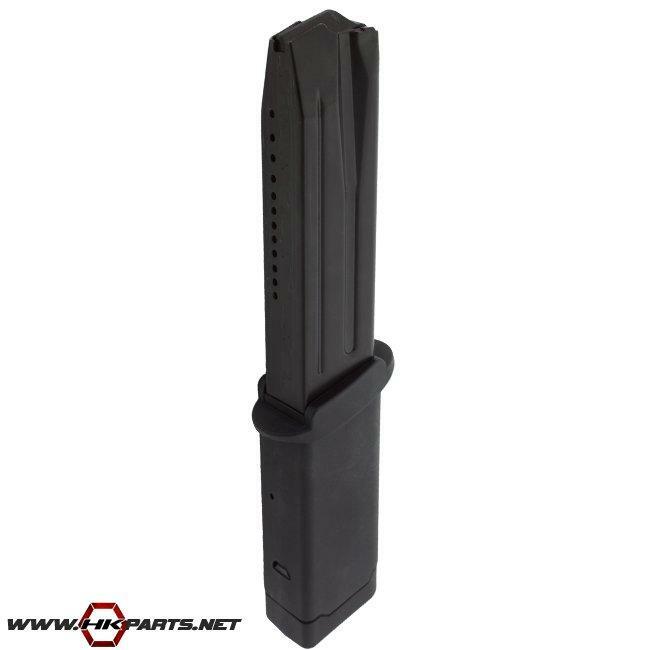 Each 30 round magazine offering includes a VP9/P30 mag body, a mag extension body, mag extension cover housing, extended mag spring, & an extended follower -- all of which are installed for a complete ready to use 30 round magazine.